The Massry Center for the Arts, located on the campus of The College of Saint Rose, is celebrating 10 years of extraordinary performances with a season line-up that includes “Orange Is the New Black” star Lea DeLaria on October 13 and finishes just as strong with Aaron Neville and Maceo Parker. This season, Saint Rose is partnering with the Troy Savings Bank Music Hall to present the Premiere Performances Series. The series kicks off September 22 with the Saint Rose Camerata, a Saint Rose faculty ensemble offering high-caliber performances to the community at no charge. 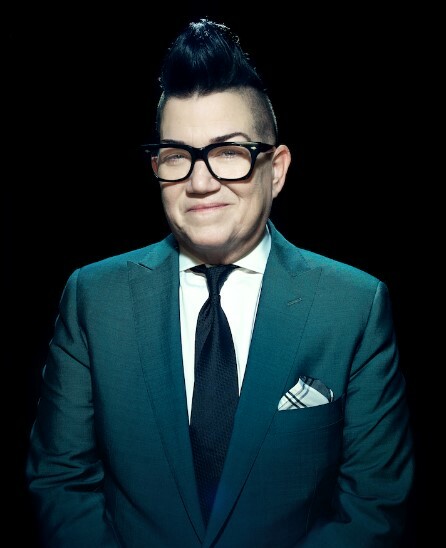 DeLaria, known as Big Boo on “Orange Is the New Black,” is a comedian, singer, and gay icon, who combines side-splitting comedy with a velvety jazz voice and sassy stage presence, mingling choice jazz standards and jazzy covers of classic David Bowie tunes. DeLaria seems to have achieved overnight stardom with her two-time, SAG Award-winning, stand-out role as Carrie “Big Boo” Black in the Netflix hit series “Orange is the New Black.” However, DeLaria’s multi-faceted career as a comedian, actress, and jazz musician has, in fact, spanned decades. She has five records on the Warner Jazz and Classics label, and her book, “Lea’s Book of Rules for the World,” is in its third printing at Bantam Doubleday and Dell. Her sixth record, “House of David: delaria+bowie=jazz,” was released in the summer of 2015 to critical acclaim. Tickets are available now, in person, by phone 518-274-7804, or online at www.massrycenter.org or www.troymusichall.org. Tickets may be purchased in person at the Troy Savings Bank Music Hall box office, located at 30 Second Street, Troy, Monday through Friday 10 a.m. to 5 p.m. The Massry Center for the Arts is located at 1002 Madison Avenue, Albany.